First, I want to say a big thank you to all who have been praying for my recovery over the last three weeks. I’m back on my feet now after a pretty tough bout of pneumonia. Thanks for your love, support, prayers, and patience. I really appreciate your concern. This week, I want to talk about Jesus, social rejection, and the divine rejection of the social rejection that we see in God, revealed through Jesus. This last type of rejection will make more sense as we continue. 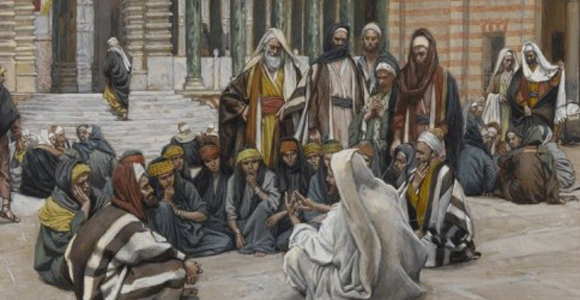 Matthew 21 presents a series of parables that Jesus was sharing with the chief priests and Pharisees on the subject of their religious rejection of others to whom they felt morally superior. There are three points to keep in mind as we read these parables that will enable us to step into their context and receive their full impact. Jesus stood in solidarity with, and defended those whom the chief priests and Pharisees had judged as morally inferior and had socially rejected. Jesus’ choice to stand in solidarity with those the chief priests and Pharisees had discarded as “sinners” (Jews living in disobedience to the Torah) also caused the chief priests and Pharisees to reject Jesus as one of them. In short, according to Jesus, the rejectors were about to be rejected. And this is a first! God, in Jesus, for the first time, is revealed as rejecting their rejection of the rejectors. Those who had been rejected were being taken up by God, shown to be being victimized and objectified, and then used by this same God to pioneer a new way of living life on planet Earth. This new way of doing life will be rooted in equality, justice, restoration, reconciliation, mercy and love. Jesus referred to this new way of orchestrating the world as the Kingdom. For those who were offended by this divine rejection of their rejection, those who endeavored to go against this “amazing,” unique, and original “doing of God,” would find themselves “broken to pieces and crushed.” As some have said, the grain of the universe is love and those who go against this grain receive within themselves the splinters of such a course. The vineyard was in the process of being taken away from those who had abused and oppressed others through it—those who had chosen to go against the grain of love. Ironically, as those who had been abused and oppressed were actually responding to Jesus and aligning themselves “with the grain” (in a way unrecognizable to the chief priests and Pharisees), the vineyard was now being given to them because they could be entrusted with producing the right kind of fruit. Maybe you have also been rejected for a number of reasons. Perhaps you don’t have the proper education. Maybe you don’t have the “privileged” skin color. Possibly you don’t belong to the right “income bracket.” Perhaps you’re not “from here.” Maybe you don’t have the “correct” gender or don’t even find yourself easily fitting within the accepted binary gender categories that society has constructed. Or maybe you have been rejected for possessing what has been labeled as a “non-normative” orientation. If you have been rejected, in Jesus, God has rejected your rejection. You are precious to the God we find in Jesus and by this God, you are chosen. This was the ultimate rejection of Jesus that would lead to His unjust crucifixion by them. This week, I want you to spend some time sitting with Jesus, contemplating the ways you have been rejected in your life. Write them down. Then I want you to imagine God taking each of one of these “rejections” and personally rejecting each one of them. Next, I want you to spend time sitting with Jesus, contemplating the ways you have rejected others at certain times in your life. Write them down. Then I want you to imagine God taking each of one of these “rejections” and personally rejecting each one of them as well. Then this coming week, share with your HeartGroup what Jesus showed you through this exercise. I receive so many emails with such sad stories of how precious people, made in the image of God, have been rejected, especially by their religious communities. There are many ways in which individuals can be disregarded, not just religiously, but these seem to be the ones I hear from the most. To each of you, remember, Jesus was the original reject. You’re in good company. As a matter of fact, if you have ever felt unwanted by others for whatever reason, you are part of a precious group that Jesus called His tribe. Wherever this message finds you this week, remember, I love you and God does, too. Keep living in love and loving like Jesus, till the only world that remains is the one where Christ’s love reigns. Now go and enlarge the Kingdom.